Where Did I See That Blanket? Sometimes even I have trouble sourcing things. But mainly for myself. 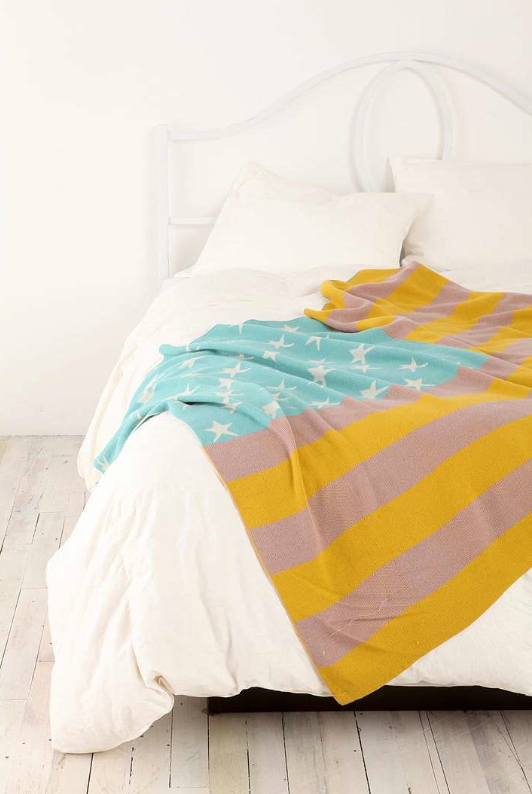 I’ve been thinking about a certain throw blanket for DAYS now. I know that I first saw it many months ago and I loved it immediately; I just didn’t know if it was right for me or my home. Well, after kicking myself several times now for passing it up, I decided that I wanted to hunt this particular throw down and finally get it — or at least show it to my readers if it was super expensive and out of range. But, umm, I couldn’t remember where it was from. This never happens to me: I take good notes, I remember things. That particular shade of subtle sage for my Bethesda client’s bedroom? — Restoration Hardware. That cool, industrial pendant lamp for my Shaw client’s rowhouse? — 1st Dibs still has it. What’s that, mom-of-three-from-Alexandria, a reclaimed wood, wall-hung wine rack would be perfect for your new kitchen? — Reincarnations Furnishings has a great one on sale! But when I want to recall a simple throw blanket for myself, my memory goes blank. Well good news, everyone. 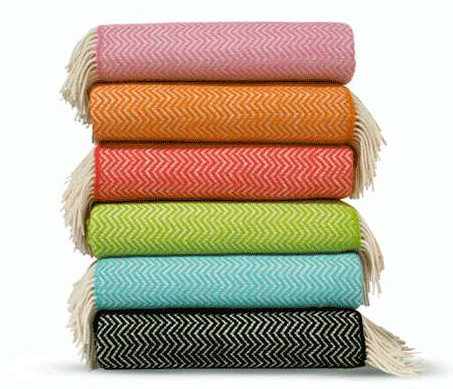 After literally an hour of google-ing every combination of color/pattern/blanket-synonym I could conjure up, I found it! And it’s cheap — as in Urban Outfitters pricing instead of Yves Delorme! But the bad news is it’s no longer available. Lessons learned: if you love it, get it…and if you aren’t sure or can’t afford it, at least write it down. Trust me, it’ll make your shopping experiences (and my job) much more pleasant! UPDATE: Check out this incredible dresser, spotted on Craigslist LA by Apartment Therapy! It’s a perfect match for the throw! Better click the link soon, because I know this won’t last long.